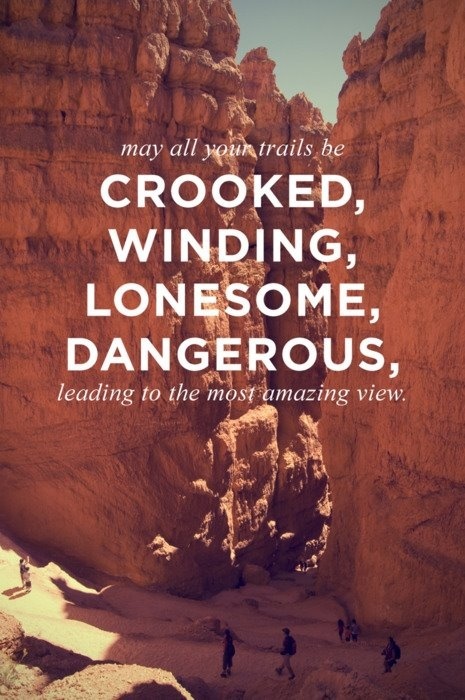 Monday Motivation: May All Your Trails… | Fit Girl. Happy Girl. I’m halfway through training for the Big Sur International Marathon and if I’ve learned one thing so far, it’s that training for a marathon can be lonely. I do the majority of my long runs and training runs alone and while I can find zen and peace on the long run, it can be challenging. However, in the end, when I’m standing at the starting line on April 28, I’ll take solace in knowing I did everything in my power to get there on my own. And to me, there’s no greater accomplishment than that.